Today we are joined by career coach and founder of Copland Coaching, Angela Copeland. When she’s not traveling, cooking, or practicing yoga, Angela is helping people craft tailored resumes and prepare for significant career shifts. 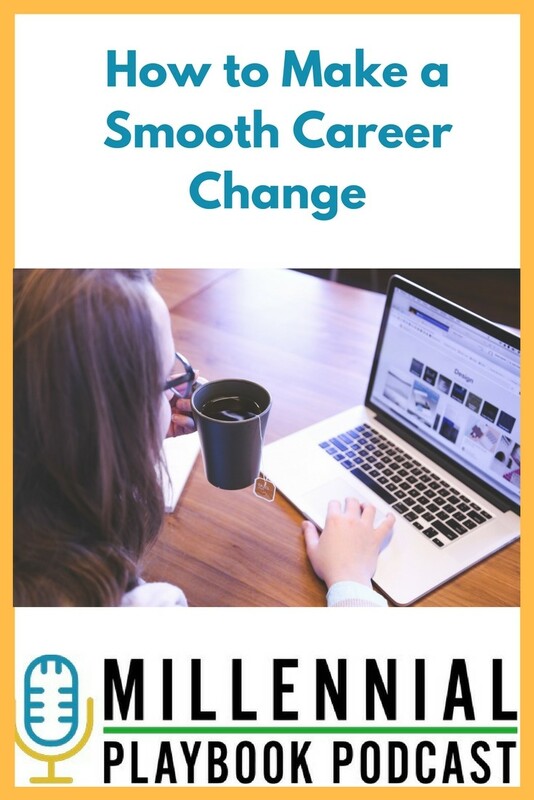 We talked about the importance of not letting fear stop you from making a career change and ways to re brand yourself by highlighting your strengths. You can download this episode from Stitcher or iTunes or listen below to hear all of Angela’s spot-on advice. Do put yourself out there. Do include an objective or a profile on the top of your resume that brands you, shows what you’re looking for and highlights your strengths. Do customize each resume for the job to which you are applying. Don’t be afraid to try to move into a new field. Don’t assume employers won’t be interested in you if you don’t meet the list of requirements. Look for strengths you have that are basic and apply to all fields. Highlight skills such as creativity, communication, teamwork and leadership. Add meaningful experience to your resume by volunteering for a nonprofit. Volunteering offers lots of flexibility to pick up new skills and learn new things. Instead of overlooking the opportunity to volunteer, you can also use it as a networking opportunity. You can land a job even if you don’t meet every single job requirement listed, so still pursue an application. If you’re the best fit for the organization or are the cheapest to hire, you might still be a top candidate. Companies don’t always stick to their minimum requirements. Sometimes they just list every useful skill they can think of. Be effective by asking an employer to focus in on what the real priorities are for the job. Pro Tip: If they call you in for an interview, it’s likely they think you can do the job. Remember that there are some skills that they can train you for, but others like a good attitude and problem-solving ability that are within your control. The ability to communicate is universally important as a way to to express yourself. Communication is also important for growing and building relationships within the workplace. Pro Tip: Remember that “people hire people” so making personal connections is essential. Many college students and recent graduates assume that their degree or top-notch grades suffice for scoring a great job. In reality, internships and volunteering are what differentiate you from other applicants. Pro Tip: Obtain in-the-field or shadowing opportunities early on in your education to be sure of what you want to do. Sites like Glassdoor, LinkedIn and Indeed are excellent places to start your career research. Brainstorm a list of companies you would like to work for and research the department that piques your interest. Request a 15-20 minute informational interview with the head of a department. Also, take advantage of secondary connections as a gateway to networking. When you reach out to someone to network, you are not bothering them. People love the opportunity to talk about themselves and help others with their careers. Building meaningful relationships is important, but it takes work and practice like anything else. Interviews are a two-way street. Just as much as an employer is seeing if you are a qualified applicant, you need to decide if the job is a good fit for you. Accepting an offer should be a mutual decision. If an offer is not a good fit, be honest and direct. Express appreciation for the offer and your hope to remain connected, and the employer should understand. If nothing else, you will build a relationship with the hiring manager. Promote what you naturally excel at and how your skills can be used to benefit your workplace. Those around you are great resources for helping to hone in on what you do best. Pro Tip: Ask friends and family what they think your strengths are and use those ideas to answer interview questions. If you are interested in rebranding yourself or making a career shift, visit Angela’s website at www.copelandcoaching.com. You can also find her on LinkedIn as Angela Copeland or email her at angela@copelandcoaching.com. Kate de Luca is a sophomore Marketing and Data Science student at the College of William and Mary. Interested in digital marketing, Kate has run social media platforms for small companies. As someone who’s right on the border of the millennial generation and generation X, Kate is a believer in fresh, innovative ideas and the ability of young people to add new and creative perspectives to the workforce.